Global Herbs Revive Syrup is a valuable liver tonic for cats which is very palatable and easy to administer. It provides support for a healthy immune and digestive system. You can use it routinely in their food if they are happy to accept it. 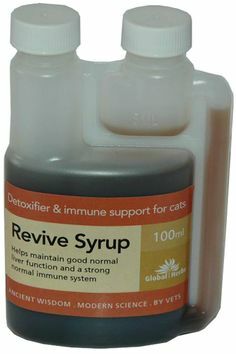 There are currently no questions for Global Herbs Revive Syrup for Cats - be the first to ask one!